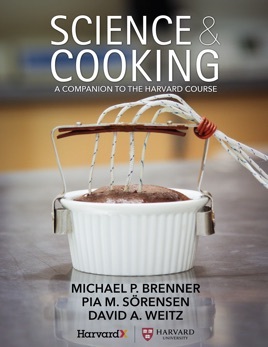 This book is based on, and meant to serve as a companion to, the Harvard course Science and Cooking: from Haute Cuisine to Soft Matter Science, which aims to teach physics and chemistry through examples of food and cooking. 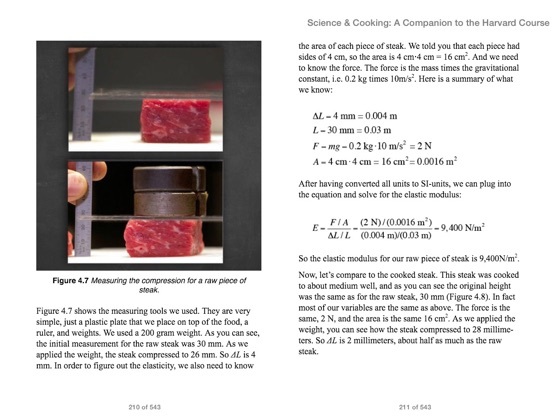 The course features world-renowned chefs explaining the remarkable creations from their kitchens paired with explanations of the underlying science in everyday cooking and haute cuisine. 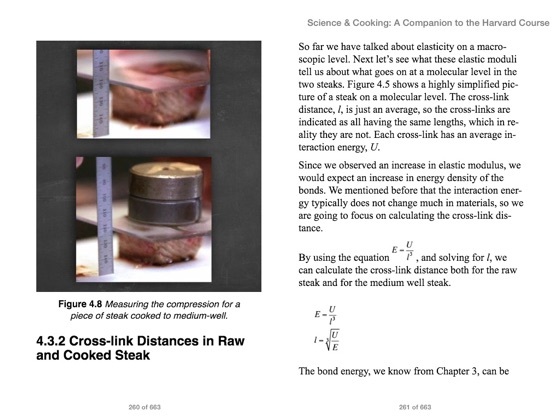 This book focuses on conveying the scientific information in the course, with the order and content of the chapters closely following how the concepts would ordinarily be explained in the class. 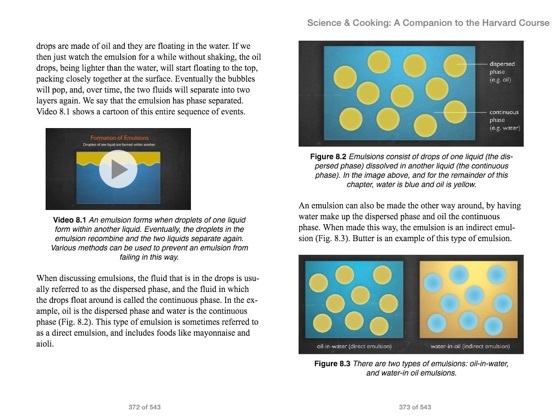 It additionally contains graphics, sample calculations, and short videos illustrating key concepts. 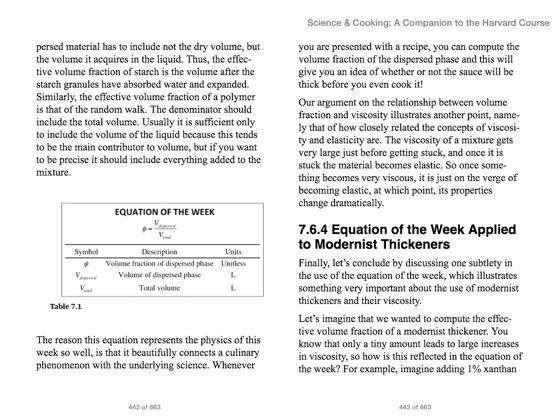 Topics include soft matter materials, such as emulsions and foams, illustrated by aioli and ice cream; diffusion and heat transfer, exemplified by the cooking of a steak and the culinary phenomenon spherification; as well as phase transitions, elasticity, viscosity, and the science underlying fermentation. It is our hope that this book is a helpful supplement to students taking the course, either on campus or online. 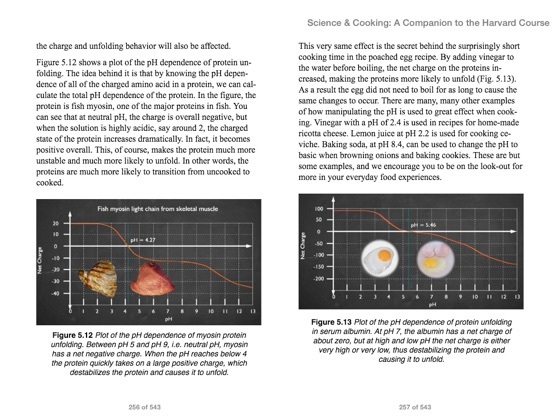 It should also be a useful resource for other courses and initiatives aiming to teach physics and chemistry through food and cooking, as well as to any curious reader with an interest in how recipes work on a scientific level.